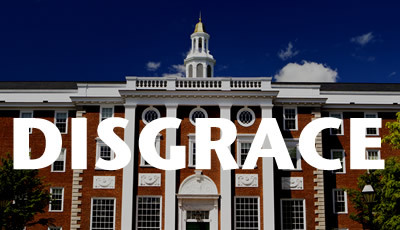 By revoking Chelsea Manning's fellowship, you have disgraced the Harvard Kennedy School. By caving in to pressure from present and former top officials of the CIA, you have jettisoned academic freedom. By deciding that it is appropriate for Sean Spicer but not Chelsea Manning to retain a fellowship, you have failed to fulfill Harvard's responsibility to be independent of government power and coercion. During his stint at the Trump White House, Mr. Spicer earned a reputation for lying. As a whistleblower, Ms. Manning earned a reputation for truth-telling. It is a sad day when a record of facile mendacity is more revered at Harvard than a record of revealing difficult truths.